Dr. Christopher Meyers’s professional philosophy is based on treating his patients as he would care for his own family members. He takes pride in his ability to communicate with patients to make them feel at ease throughout the course of their treatment. 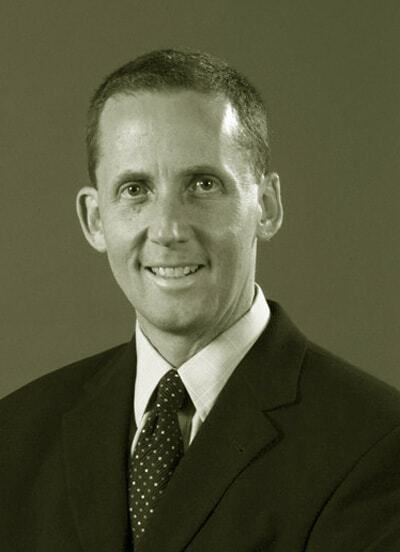 Dr. Meyers completed his undergraduate studies at DePauw University in Greencastle, Indiana. He went on to complete his education at the Marquette University School of Dentistry where he earned his Doctorate of Dental Surgery degree in 1987. He then completed a Hospital Dentistry Residency at the University of Connecticut in 1989 and an Oral and Maxillofacial Surgery Residency at Montefiore Medical Center at the Albert Einstein College of Medicine in the Bronx, New York in 1993. Dr. Meyers served as an Assistant Professor of Oral and Maxillofacial Surgery at the Albert Einstein College of Medicine from 1993 - 1994. During this time, he earned the Leo Davidoff Award for Outstanding Achievement as a house officer in the training of medical students. His professional affiliations include the American Association of Oral and Maxillofacial Surgeons, the Wisconsin Society of Oral and Maxillofacial Surgeons, the Wisconsin Dental Association, the American Dental Association, and the Greater Milwaukee Dental Association. Dr. Meyers has twice been named among the Top Dentists in Milwaukee Magazine. A resident of Fox Point, Dr. Meyers and his wife (Dr. Margita Ulmanis Meyers) have two children. He is an active member of the Fox Point Lutheran Church and volunteers his time at the Walter Schroeder Aquatic Center. In his spare time, Dr. Meyers enjoys woodworking, traveling, and spending time with his family.